The Mississippi River can experience high water conditions at many times of the year. The high-water season is often said to run from December to May. The highest water is usually seen from February to May and many people believe this is the only high-water season. However, high water can occur at many times and has sometimes lasted from January until August, with only intermittent breaks. Long-term forecasts are not always accurate because a huge land mass area drains into the Mississippi River, and heavy precipitation over that land mass can raise the river level quickly, with little warning. Of course, spring snow melt always raises the river, but this should not be considered the only high-water season. The above problems can result in delays and very extensive extra expenses. Tugs cost as much as USD 3,000 per hour and two or even three tugs may be required at some berths. Attendance by pilots on a 24-hour basis can easily cost more than USD 20,000 per day. 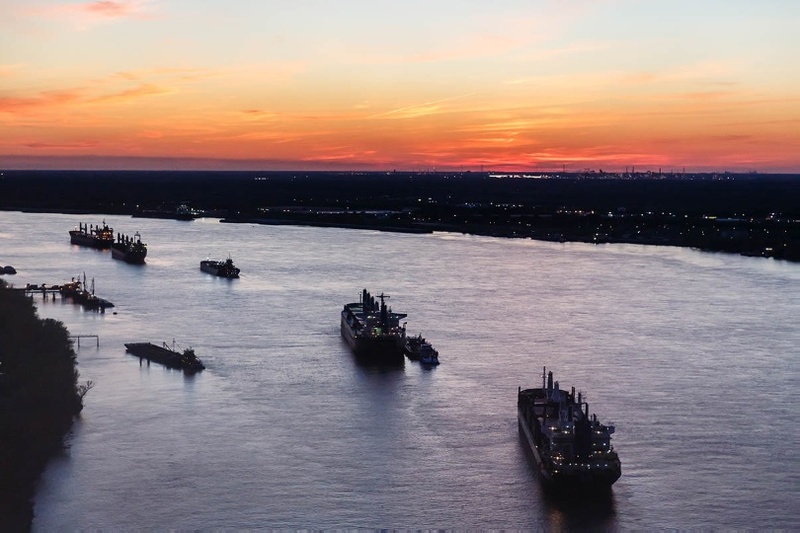 Thus, extra tug and pilot costs above those usually noted on an estimated Disbursement Account can easily be USD 300,000 – USD 500,000 or more for a call to a Mississippi River berth during periods of high water. Before any voyage to the Mississippi River, vessel owners and operators should contact reliable local interests, such as vessel agents or the local Club correspondent. If possible, charter parties should contain some protection against high water expenses. All mooring gear and ground tackle should be checked and re-checked. Extra mooring lines should be available. Owners should not let the promise of a good charter rate blind them to the problems and extra expenses that can be incurred on the Mississippi River during frequent high water periods. Thanks to Kevin LaVie of Phelps Dunbar LLP, Gard’s correspondent in New Orleans, for providing the information.